OhMyVera! 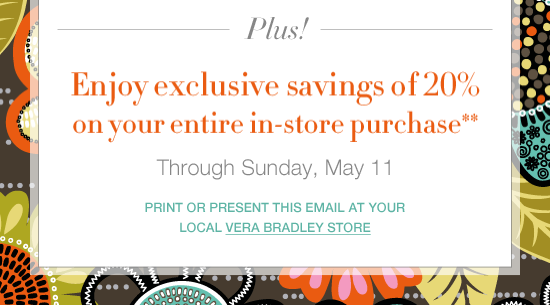 A blog about all things Vera Bradley: Vera Bradley in Store Deal! Bright Rewards! In store deal for Vera Bradley! 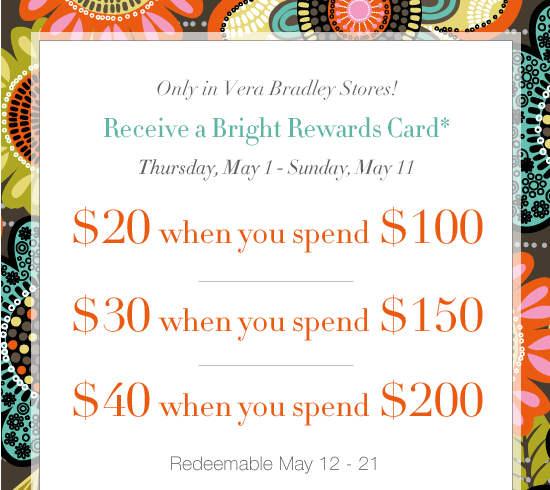 Bright Rewards cards to use May 12-21 if you spend $100 or more! Plus 20% off your purchase!